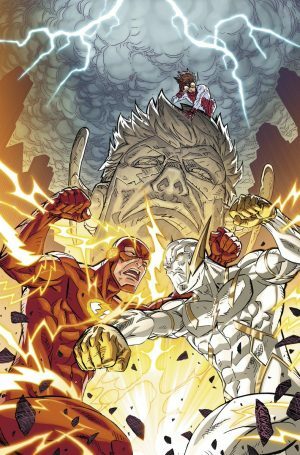 New York Comic Con 2018 / NYCC 2018, Heroes In Crisis & DC Comics Universe Spoilers: Is Wally West The Flash Really Dead? Barry Allen Mourns In January 2019 Flash Annual #2! Plus Bart Allen Impulse Returns For Young Justice! New York Comic Con 2018 / NYCC 2018, Heroes In Crisis and DC Comics Universe Spoilers follows. Is Wally West The Flash Really Dead? Barry Allen Mourns In January 2019 Flash Annual #2! Plus Bart Allen Impulse Returns For New Young Justice Series! The Flash Annual #2 will be written by Joshua Williamson with art by Scott Kolins. In it apparently Barry Allen will tell Iris West of Wally West’s passing in Heroes in Crisis #1.